Delays and cost overruns, however, have brought the program to the brink of cancellation. On March 8, OCX program managers met with Frank Kendall, the Defense Department’s under secretary of defense or acquisition, technology, and logistics for their second "Deep Dive" review in just four months. "We completed a careful look at the current state of the OCX program," said DoD spokesman Mark Wright. "We will conduct another comprehensive review in approximately three months to assess progress against the plan." Kendall told Inside GNSS in February that he intended to track Raytheon’s progress on the tasks they were given during the March review and, if they were not executing as they said they would do, he’d "look at, at least, a partial cancellation." Lt. Gen. Arnie Bunch, the Air Force’s deputy assistant secretary for acquisition, underscored that approach March 10 during the Credit Suisse/McAleese FY2017 Defense Programs Conference in Washington. The Air Force already has a backup plan in place should OCX falter. 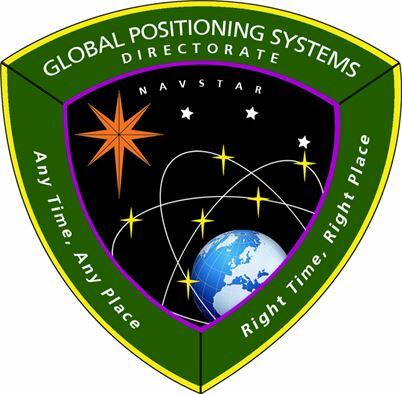 In December it awarded a $96 million contract modification to Lockheed Martin Space Systems for the Global Positioning System (GPS) III Contingency Operations services (COps). Under the deal the company is to "modify the current GPS control segment to operate all GPS III satellites that are launched prior to the transition" to OCX. The problems with OCX, however, have also sparked interest in determining if it makes sense to skip OCX altogether and transition GPS III ground control capability directly to the new Enterprise Ground Services (EGS) for the Air Force’s Satellite Control Network (SCN). EGS would establish a common ground system infrastructure for telemetry, tracking, command and command systems, and security for a wide range of different satellite programs, many of which are operated from Schriever Air Force Base, Colorado, including the GPS Master Control Station. · duplication, without commonality, of ground capability and costs. Explained a source familiar with the concept, "You don’t have these individual stove pipes." Moving programs to EGS could greatly reduce overall costs, the source said, particularly when it comes to information assurance — the primary challenge facing the OCX team. "When you’ve got a common framework you can build in the information assurance," said the source, developing patches as you go that address problems across multiple systems instead of having to develop individualized fixes for each ground segment. The system also has a fully distributed structure with internal mechanisms to isolate and fix problems to reduce the risks created by relying on one network for ground control. NASA and other civilian systems are already saving money using such an approach, the expert said, adding that they are able to make changes much more rapidly. The fiscal year 2017 budget request for GPS III already includes funds to help support a transition to EGS. According to Air Force budget documents the research and development budget for GPS III has $140.6 million allocated for a set of tasks including developmental planning, maturing technologies, and developing initial small-scale prototype capability "for the enterprise ground architecture." At the 2015 Ground System Architectures Workshop (GSAW), Lt. Col. Matt Kimsal, Air Force Space and Missile Systems Center (SMC) Advanced Systems and Development Directorate at Kirtland Air Force Base, New Mexico, described some of the transition planning for EGS. Operational demonstrations that could take place in the mid-term could use “residual” satellites, including those of the GPS constellation, to evaluate the ability of distinct space systems to be incorporated into a common EGS architecture. If the budget is approved, the work could include a variety of technical studies as well as the building of a "technical and programmatic roadmap to enable a phased enterprise transition in the future." The request could come up in discussion March 15 when Air Force Space Command Commander Gen. John Hyten, a proponent of the EGS, testifies before the House Armed Services Committee.